Barry University has named David M. Kennedy’s Don’t Shoot: One Man, A Street Fellowship, and the End of Violence in Inner-City America as the Common Reader for the upcoming academic year. This summer, all incoming students will read the book as they prepare for their first semester at the university. Don’t Shoot will be assigned reading in many first-year courses this fall. The Common Reader program gives new students one shared intellectual experience so they begin to connect with one another early on, no matter what their academic interests. Each year, the Common Reader is selected by the General Education Curriculum Committee—14 of faculty members who teach the core courses (writing, theology, philosophy, literature, fine arts, history, sociology, political science, math, and science). In October, Don’t Shoot will be at the center of a one-day mini-conference, “Reclaiming Community from a Culture of Violence.” Author David M. Kennedy will give the keynote address. The day will also include panel presentations and discussions, guest speakers from local community-based agencies, film screenings, service opportunities. In past years, Barry University has adopted This I Believe and This I Believe II, essay collections both edited by Jay Alison and Dan Gediman, and Paul Loeb’s Soul of a Citizen. 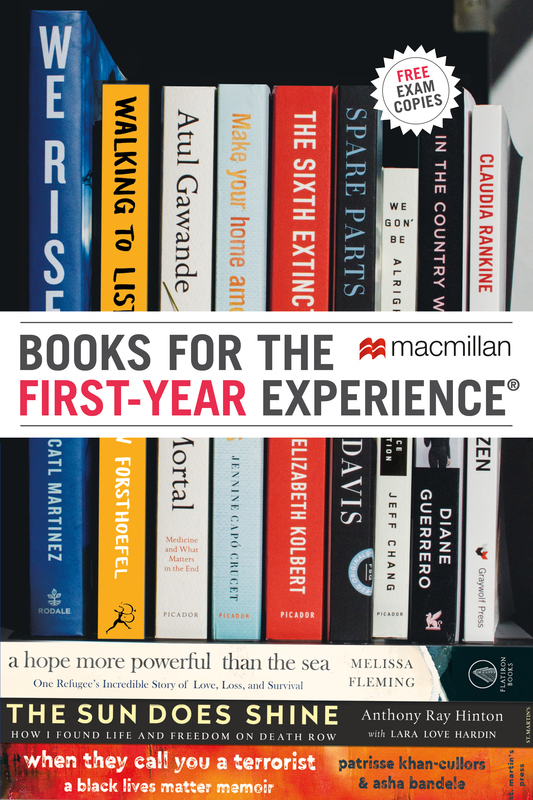 Click here to see all the schools that have adopted these and other Popular Picks for first-year reading from Macmillan.